Any car produced in the 21st century comes with a number of indicators on the dashboard that warn the driver in case of any breakdown in the vehicle systems. These are the most straightforward signs your car needs some attention. Different signs monitor different systems so that it can be easier to know which part needs repair or replacement. One of the most dreaded signs is the 'check engine' light. Don't be afraid to find out what the problem is. In most cases only a minor fix is required. However, sometimes the problem could require a lot of money to fix especially for old cars or cars which have been unserviced for long. Braking is one of the basic systems in your vehicle that requires being in perfect working condition all the time. Braking technology has evolved tremendously over the past few years. Modern cars come with all sorts of technology to help drivers brake more effectively. Sometimes you may notice unusual behavior from your braking system. It can either be too sensitive or unresponsive when you apply your brakes. You can also hear unusual noises every time you apply your brakes. 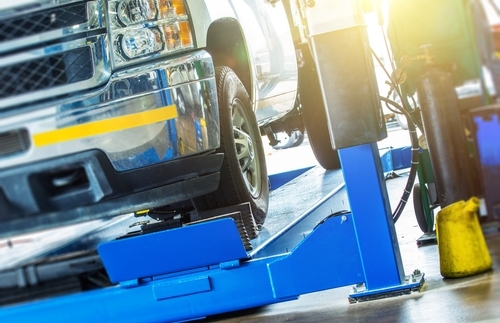 All these are signs you need to take your car to your favorite mechanic to have the brakes checked. Since brakes are used all the time when driving, they need to be checked more often. When you own a car for some time, you get accustomed to its engine noise and other normal noises your car makes. If your car suddenly starts producing weird noises you are not used to, it could be a sign of a problem. For instance, if you hear squealing noises every time you turn the ignition it could mean your power steering system needs attention. Squealing from the tires when you are on the move may indicate they are loose or they need to be rebalanced. Starting a car should not be a struggle if the car is healthy. You'd expect a clean start as soon as you turn your key. If you experience any stutters, coughs, splutters, or whirring when trying to start the car, it is time for a checkup. Another sign is if you have to turn the key a number of times to get a reaction. Troubleshooting a malfunctioning ignition requires experts since it can be caused by different things. A dying battery, damaged starter motor, or faulty wiring are some of the common causes of ignition trouble. Unless your car is an old garbage truck, you expect minimal or no visible emissions from your exhaust system. If you notice any unusual clouds of smoke coming from your exhaust system as you drive, it could be a sign you have a blockage or buildup in the exhaust system. It could also indicate that your car has an oil leak that needs immediate attention. Whatever the problem causing the fumes is, you need to have the car checked by qualified mechanics to avoid knock-on effects. To detect such problems early, check your rear bumper regularly for any black residues. Nobody wants to see any type of smoke coming from the hood. It usually indicated severe damage to the engine or the cooling system. The first thing to do when you see smoke coming from the hood is to stop the vehicle immediately and call your mechanic. It is not only n movies where cars blow up; don't risk it. To detect this problem early, check your temperature gauge on the dashboard regularly to know when it goes up unusually. Modern cars come with a lot of equipment on the dashboard mainly for enhancing your car's comfort and entertainment system. This includes things like the radio, air conditioning system, satellite navigation system, among others. 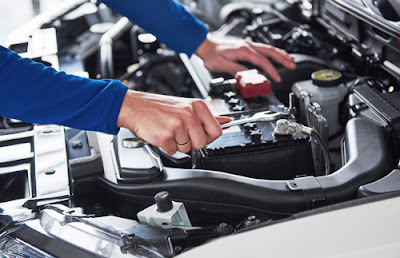 You know your car needs service if you notice any problems with any of your car's systems like a malfunctioning radio, aircon not cold, aircon not working, or unresponsive buttons. An easy way to know if your car is leaking is if you notice any fluids underneath your regular parking spot. If it is a bright green liquid, your engine's coolant is leaking. If the liquid is brownish, it could be breaking fluid, transmission oil or engine oil leak. Any leak can be disastrous if not attended to immediately. If your coolant is leaking, your engine can overheat and cost you thousands in repairs. Other oil leaks can also cause performance issues that lead to worse problems. A decline in the efficiency of your engine is expected after some time. However, if you notice a sudden decrease in your car's power, have it checked for issues with the engine or tyres. Another problem to look out for is If your car uses up more fuel than normal. The gearbox is another part of your vehicle that is more susceptible to wear and tear as a result of everyday use. Fortunately, most common gearbox problems can be detected almost immediately they begin. Shifting gears doesn't feel right if your car has a problem. A common warning sign is grinding noises when shifting gears or leaking transmission fluid. There are lots of other indicators that your car needs service. The important thing is to make sure you fix any car trouble as soon as you detect it. 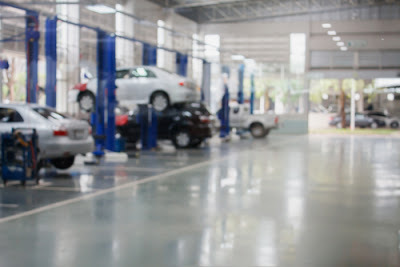 It might seem costly to repair the vehicle at first but the more you delay the repairs, the higher the chances of the problem escalating and becoming more expensive to repair. You don't have to wait until your car develops problems to have it serviced. Even if your car is running perfectly, it is recommended to have it serviced regularly so that you can keep it in good shape for longer.